Days back we came up with the home cleanliness tips for dog owners. With the hope that the pet owners are enjoying and finding our write-ups useful, here we are with something that would add to the list and make you feel good about having checked out. We have looked for and picked the best beautiful kennels for dog owners to get their dog its personal little cozy corner. Sneak a peek at all the best dog kennels for your lovely pets! Here’s a cute Dog LVR by Judson Beaumont and Straight Line Designs that is indeed lovable. 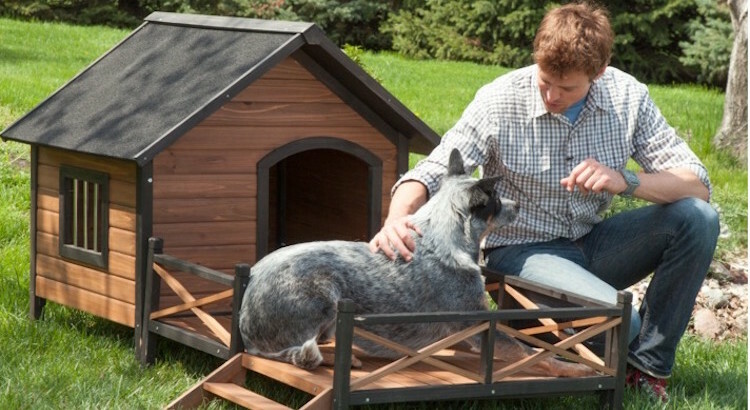 Available at Amazon for $73.21 this is a cute looking double storey durable pet home ideal for indoor or outdoor use. 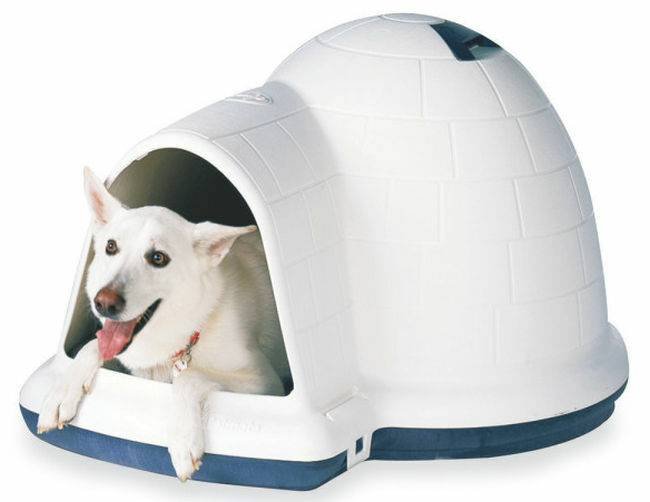 You can get this Igloo style dog house from petsmart for price range from $ 114.99 to $ 189.99. Its an insulated dog house in an Igloo-style featuring an adjustable air vent and offers a five-year manufacturer’s warranty. 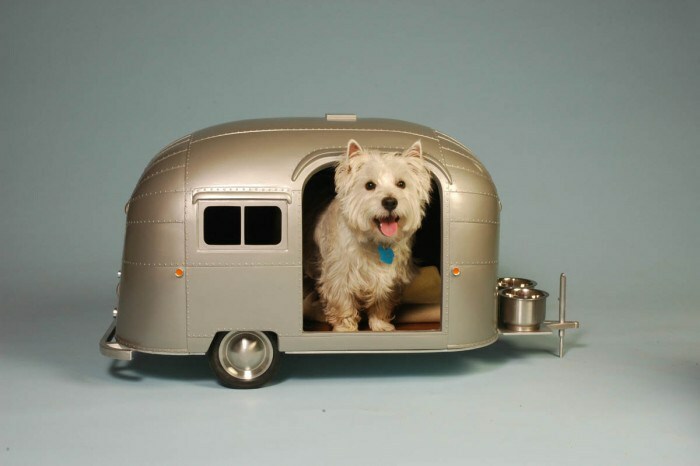 It is available in 3 sizes to fit pets from 21″ to 28″ tall. 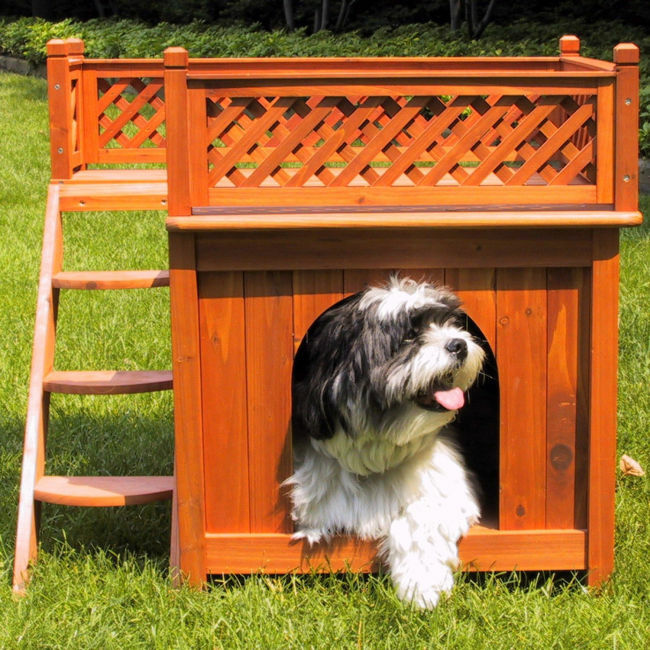 Made of solid fir wood with a dark trim accents, this dog house with spacious deck for sunny naps is 67W x 31D x 38H inches in dimensions. 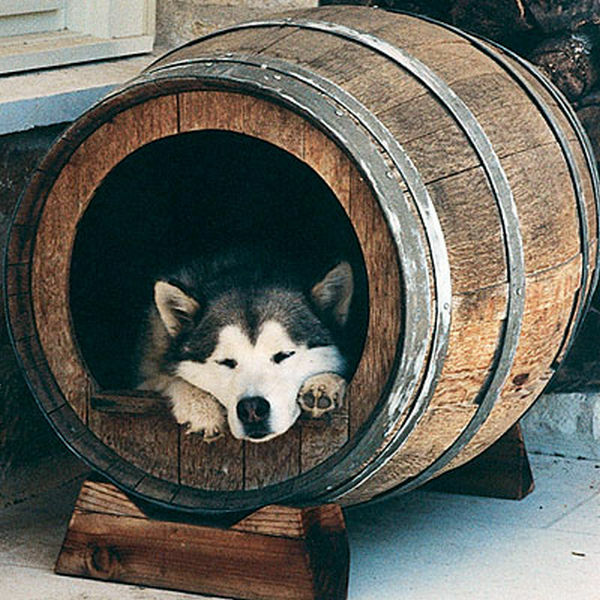 Converted wine barrel doghouse from Carol Beil, Phoenix, AZ, this doghouse is definitely out-of-the-box idea. This cute space-efficient colonial farmhouse by Muprhydesign is so amazing that anyone would love the idea in the very first go. 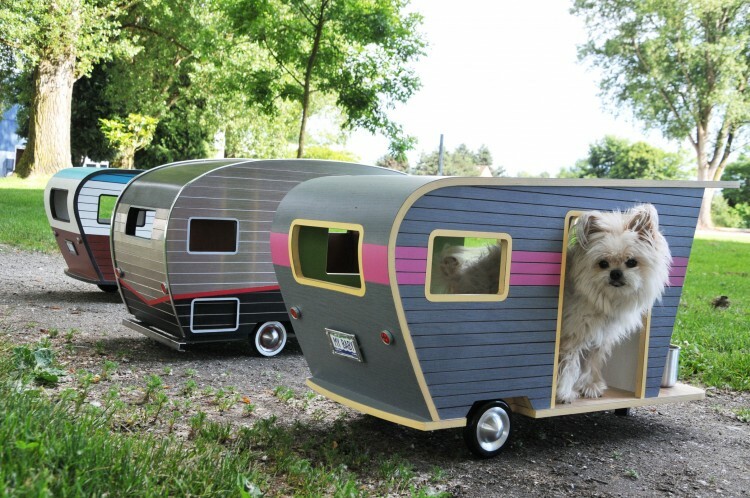 From Judson Beamount Straight Line designs Inc, here is yet another pet house that is rightly named as Pet Camper. Here is a stylish dog crate doubles as a side table with mahogany finish and antique brass hardware. You can pick the right one as per the size of your pet. 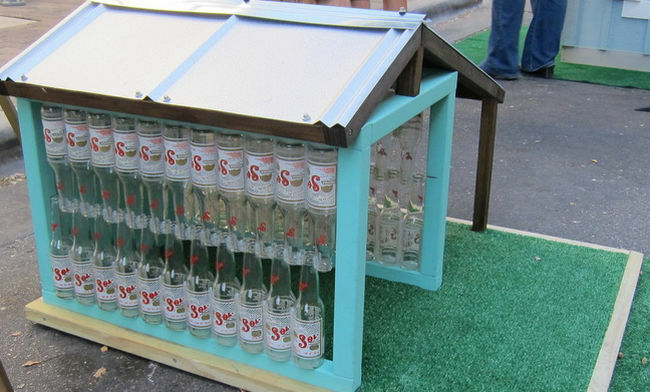 Scheer & Co. has crafted this beautiful La Casita del Sol dog house out of wood leftover from the designer’s own house, and repurposed beer bottles. 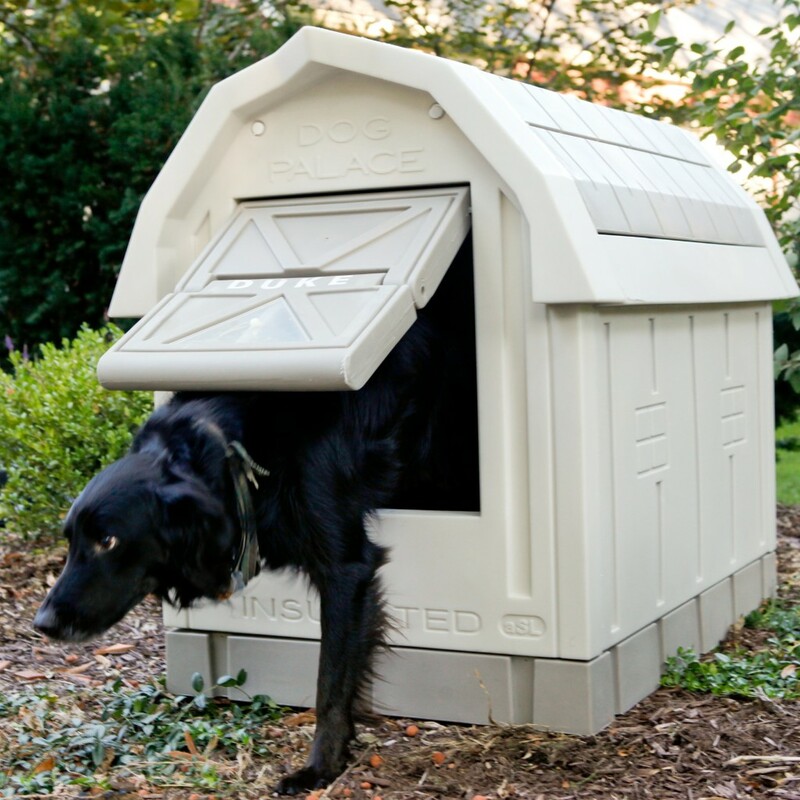 This is the ASL Solutions Personalized Insulated Dog Palace, which measures 31.5W x 47.5D x 38.5H inches, is made up of durable polystyrene exterior in grey, EPS Foam insulation in walls and ceiling, self-closing door with viewing window. That’s all for the day! 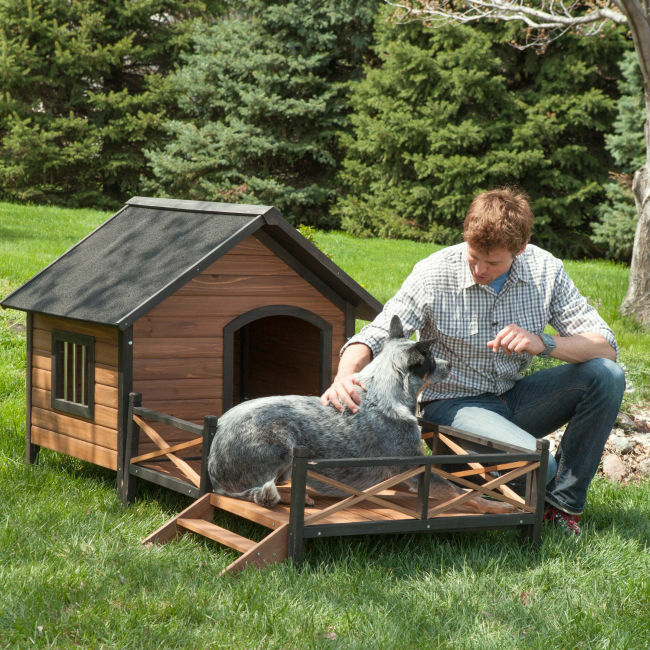 Which one of the these dog houses/kennels pinned above would you opt for your dog? Let us know in the comments section below.